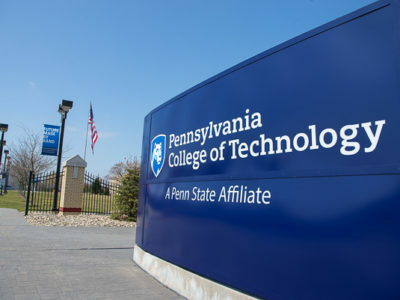 A commencement ceremony is scheduled for Saturday, Dec. 22, for the nearly 320 Pennsylvania College of Technology students who have petitioned to graduate following the Fall 2018 semester. The ceremony will start at 11 a.m. in the Community Arts Center, 220 W. Fourth St., Williamsport, with 235 students expected to march. The student speaker will be Katherine Lynne Mertes, of Williamsport, who will be awarded a bachelor’s degree in residential construction technology and management: building construction technology concentration. Pennsylvania College of Technology’s Fall 2018 Commencement ceremony will be held Dec. 22 at the Community Arts Center in Williamsport. Mertes, a Dean’s List student, is a member of the Penn College Construction Association and Penn College Women in Construction. She has competed at the National Association of Home Builders Student Competition in the Residential Construction Management category in both the two- and four-year divisions, taking third place nationally for the two-year level. She also participated in the PA Build My Future Event held on the Penn College campus in October. Mertes plans to pursue a career in residential construction management in Virginia after graduation. Also speaking at the commencement will be Joanna K. Flynn, associate professor of mathematics, who was presented with the Veronica M. Muzic Master Teacher Award – the highest level of recognition bestowed upon Penn College faculty – in May. Penn College President Davie Jane Gilmour will be joined by Steven P. Johnson, president of UPMC Susquehanna and a member of the college’s Board of Directors, as she confers degrees and certificates upon the graduates. The president will also present an Alumni Achievement Award to Margaret A. Jackson, of Montoursville, an employee of the state Department of Transportation who graduated in 2008 with a degree in civil engineering technology. Jackson co-manages the Central Susquehanna Valley Transportation Project for PennDOT. For more about Penn College, a national leader in applied technology education, email the Admissions Office or call 800-367-9222.